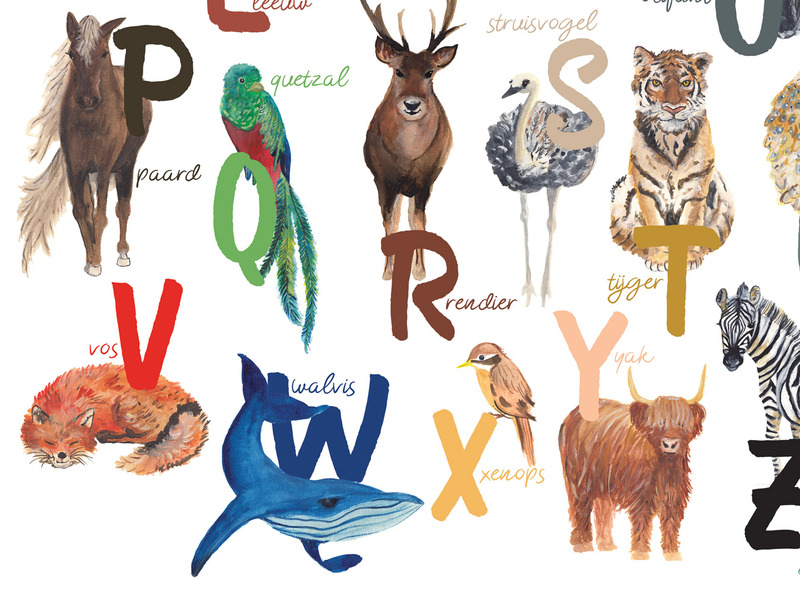 Dutch version of ABC animals poster that makes you smile, perfect for in a nursery or to brighten up your bedroom or living room. 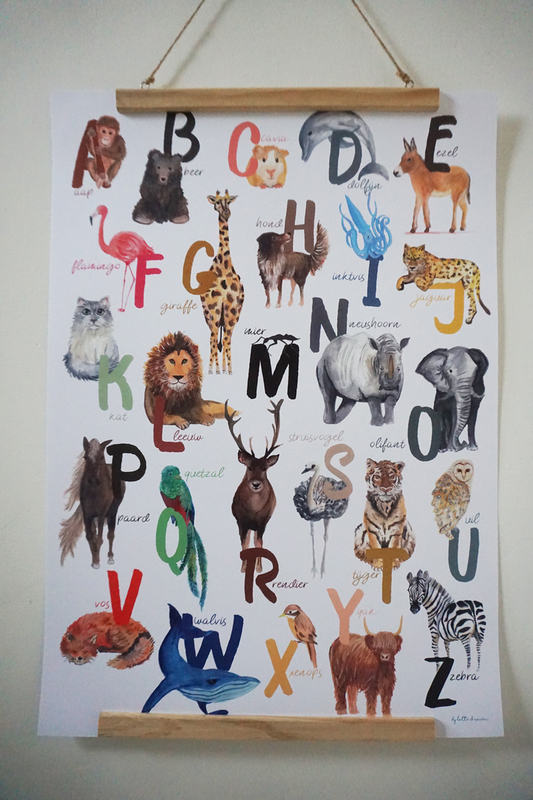 Dare to give color to your surroundings and learn the alphabet! 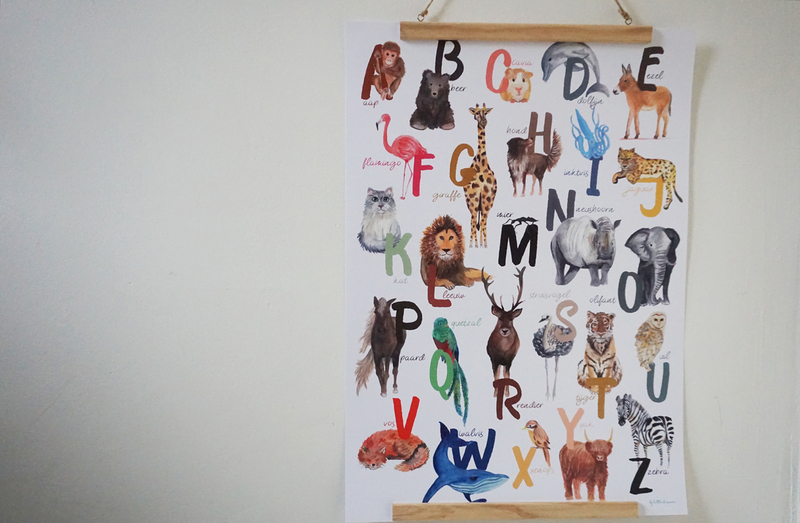 Also nice to give as a gift at a baby shower or birthday. The illustration is drawn by me by hand and then digitally finished. I mainly use watercolor, pen and pencil. Shop here. The English version will soon follow.